Save the dates! See the full event info here. This entry was posted in Uncategorized by Austin Taylor. Bookmark the permalink. As BikeWalk Provo's communications director, Austin is in charge of communicating our messages to the public. 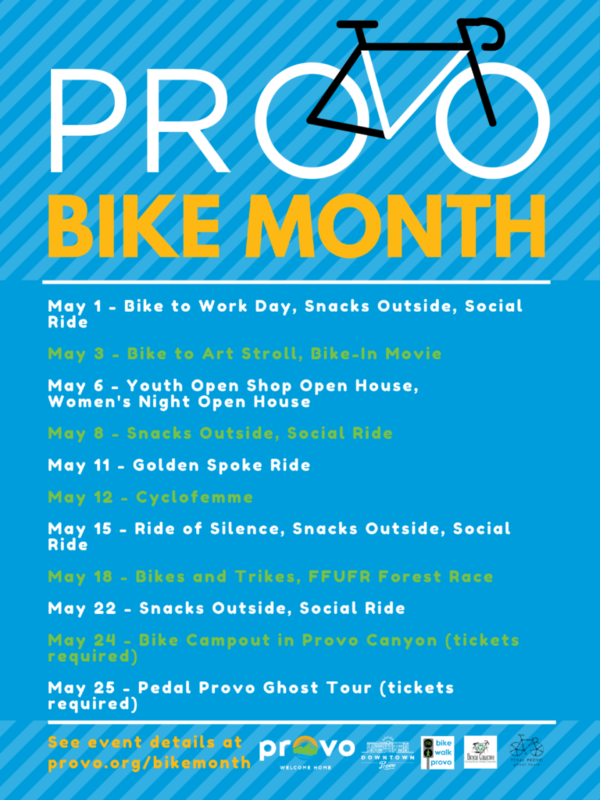 Austin Taylor was director of Provo Bicycle Collective from 2015-2018 and now works for Provo City as its parking and sustainability coordinator. He came to Provo to attend BYU in 2012 and has stayed ever since.